These notes are to help those who would like to watch a live game while visiting the Algarve. I have been to many of the grounds myself. This is the Portuguese football set-up in descending order for season 2018 - 2019. National Leagues consist of three tiers. The fourth and, where they exist, fifth tiers are the regional leagues. Promotion and relegation operates between all tiers. Another good website, with areas in English and several other languages, is www.zerozero.pt which, among a lot of information has results, league tables and fixtures for all levels of the game in Portugal. There is only one website specifically for Algarve football, the official Algarve FA website www.afalgarve.pt in Portuguese only but easy enough to navigate and make sense of. In Portugal, there is little or no recreational or 'park' football as we know it in the UK. Most organised football is played on enclosed grounds with 'proper' referees and linesmen. There are also national and regional set-ups for U-19 etc type football. There are some unofficial veterans leagues. You will be pleased to hear that admission charges are a lot less than in the UK for the comparable level of football. Tickets are readily available apart from, for example, Benfica v Sporting or Benfica v Porto. In most top level grounds and all those below that level you can pay on the day. No league games are scheduled over the weekend between the Christmas and New Year Holidays, or over the two weekends at all if those holidays fall on a Friday, Saturday or Sunday. At Easter there are no matches on Easter Sunday, they are mostly played on the Saturday instead. Would you like a football tour to the Algarve? 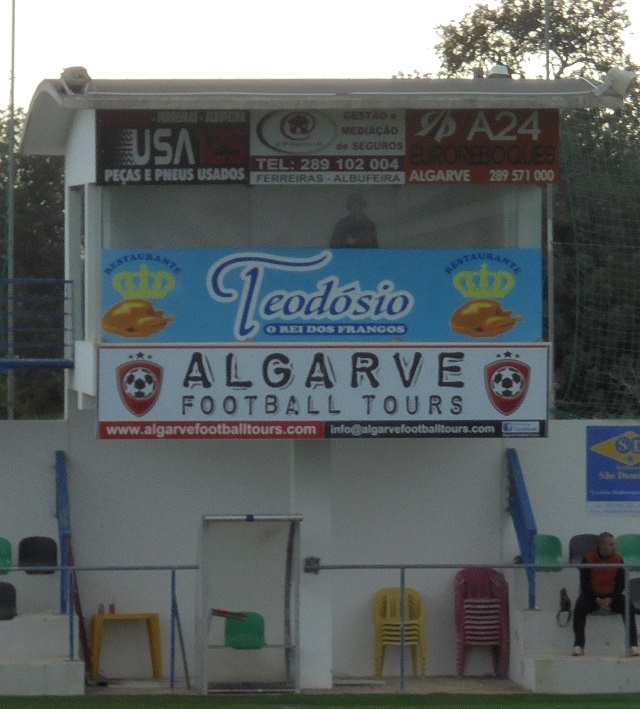 Algarve Football Tours can organise games at any level, from full professional down to veterans and school-aged teams. The company deals with top level and semi-professional teams from Germany, Sweden, Norway etc during their winter break and also arranges pre-season training matches for top British and other clubs. Matches can be arranged against suitable local opposition and also on a tournament basis between visiting teams. Qualified referees are arranged for all matches and those at higher level will be provided with appropriate people from the Portuguese or Algarve Football Association lists. Semi - professional clubs can also have suitable matches arranged pre-season against local opposition. All matches at such levels require official sanctions from the relevant Football Associations. For those at the lower levels of the game, we can organise end of season and pre- season tour games against local teams of ex-pats, short end-of-season tournaments between visiting teams, also trips for school age teams during the winter and Easter holidays. Intending school aged teams should be aware that most weekday matches would be played in the evenings on 3G pitches under floodlights. We ensure that age appropriate match arrangements are in place. It is not easy to organise anything in July and August as it is too hot. The local football season, apart from the top two divisions, ends in mid-May and resumes in late September. Veteran's and school aged games are normally good until the end of June. For smaller groups, we have access to 3G pitches with floodlights (and a bar adjacent!) for five a side and seven a side matches, often in a short tournament format. The Algarve is regularly visited not only by teams from the UK but from Ireland, Holland, Belgium, Sweden, Norway, Iceland and the USA. A chance to meet different opposition! Click the logo below to visit our website for more information, testimonials and contact details. 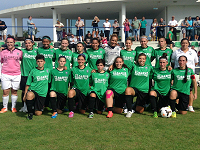 As Women’s football gathers momentum and popularity, we are delighted to offer Portugal as a great destination for Women’s Football Tours offering bespoke packages including matches or tournaments. Throughout Portugal we have women's/girls teams providing ideal opposition for all levels, amateur to Semi Professional. Selected hotels offer full training facilities for the more serious, or we can create a tailor made package based in a lively resort to make a perfect football holiday. We can create a tailor made package for your women’s and girl's football teams with hotels/accommodation to suit your requirements, training facilities and those all important matches or tournaments. In the Algarve, Lisbon or Porto we have great conditions, venues and opposition choices to be sure your team has a great football experience in Portugal. If your prefer your tour to be a more sociable event, you can be based in one of the Algarve’s lively resorts, to enjoy beautiful beaches, good restaurants and nightlife based around your football. 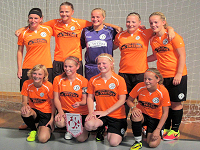 Women's Futsal tours with matches and tournaments can also be arranged. Futsal in Europe has a long history in the sport and Portugal is host some of the best players and teams. Take the chance to test your skills on the European stage. Our package of accommodation, training facilities and matches all set in a lively resort means you and your team can enjoy a great tour in the Algarve. Strictly for the over 50's, we are now able to help you with visits and competitions for walking football teams. There are a growing number of active walking football teams in the Algarve. Contact us if you would like a one-off game or perhaps we can organise a small tournament. A tournament will take place in Ferreiras on 1st and 2nd April 2019. This is however fully subscribed, with 30 teams from all over Europe taking part. Portimonense (the team based in Portimão) finished a creditable 10th in Portugal's top league last season. They play in Portimão's city centre municipal stadium, a short walk from buses and trains. It is an 'old fashioned' ground in that there are steep terraces close to the pitch and no running track etc around it. To be honest it would barely pass muster in the UK National League (5th tier) let alone the top division of a national competition. Spectator facilities are minimal, there are few toilets, one portable bar on the non-members side, no match day programmes etc. Their website is www.portimonense.pt. The stadium holds about 5,500. If it's looking like rain, be aware that the entire stadium, apart from the executive area, has no roof cover. Average attendances this season are around the 3,000 mark ie stadium about half full, or half empty depending on now you look at it. Note for visitors - children under 6 years old are not allowed in. The price of tickets for this season seems to be €15 in non-members areas, but is increased for the big games. They have been selling tickets on line via the official website, but not for every match. Except for the big games, ticket office opens 2 hours before kick-off. There are cafés and bars in the surrounding area in which to wait, there is NOTHING inside the ground in the way of spectator amenities before the game starts. There is a fairly large free car park outside, which does get full as it also serves two large apartment blocks. There are other places to park nearby. For those coming by bus, the ground is 4 minutes walk from the main bus stop area on Avenida Guanaré. The railway station is about 15 minutes walk. However, given TV schedules, many games are played at times not allowing journeys by train or bus. The Lisbon based teams of Benfica, Sporting and Belenenses are about 3 to 4 hours drive from the Algarve or between 4 and 5 hours by bus or train. That includes the time spent in the city getting to the ground. It is impossible to travel to and from their games by train unless staying overnight. If going by coach (bus to non UK readers) you will have a long wait (until 0100) before your return journey! ALL top flight matches are shown live on TV and are therefore mostly played in the evenings, sometimes kicking off as late as 9.15pm even on Sundays. Games are scheduled for television purposes and are played over Friday, Saturday, Sunday and Monday evenings. Very rarely does a team play at 4pm on a Sunday afternoon, the 'default' time for kickoffs. Dates and times of matches are confirmed four to six weeks in advance, except at the end of the season when certain games are ordered to be played at the same time, sometimes at less than a week's notice! Fixture dates and times can be found on the official Superliga website which also has links to the club websites. There is virtually no midweek football (ie Tuesday or Wednesday) anywhere in Portugal below the top two Divisions. Apart from games involving the 'big three' and the honourable exceptions of Braga and Guimarães, crowds often number less than 5,000. Farense, the team of Faro and the only Algarve team in this Division, play in the renovated city centre São Luis stadium, which has a capacity of about 10,000. The stadium is about 15 minutes walk from the railway and bus stations on hte north side of the city near the large hospital. There is no cover from the elements on the non-members side of the stadium. Attendances are around 1,500 for most games, so there is never any trouble getting in. They have a web site page http://scfarense1910.blogspot.co.uk/ but the quality seems to vary from week to week. It's only in Portuguese despite the UK web address. The Portuguese FA Cup is open to all teams in the National setup, including those in Madeira and the Azores. Almost all games are played at the weekend, as the leagues mostly consist of between 12 and 16 teams, thus creating plenty of spare dates. The only regional teams allowed to enter are, generally, the league runner's up and the regional cup winners. The fixtures can be found at www.zerozero.pt but kickoff times are harder to find and will have to be checked locally. All Algarve teams are now out of the FA Cup. The League Cup (Taça CTT) is played by the Superliga and Segunda Liga teams only. Both Algarve teams were eliminated at an early stage. This season, after yet another change in format, the third tier is split into five regional sections each of sixteen teams. The Algarve was included in section E. The five league winners, plus the three best runners-up will go into a post season knockout series to determine which two teams are promoted to the Segunda Liga. These Algarve teams are the League this season : Olhanense (Olhão), Ferreiras, Louletano (Loulé), Lusitano VRSA (Vila Real de Santo António) and Armacanenses (based in Armação de Pêra). Various websites and newspapers publish the fixture list, but rarely are kickoff times included. Up to date League tables plus last and next games can be seen here in English - external link. Games are usually played on Sunday afternoons at 3pm (4pm in April and 5pm in May and early September), but check kickoff times locally as they may vary. Changes have this season been made with as little as 48 hours warning! There are no midweek matches unless there is a postponement to be rescheduled. Admission is normally 7 Euros. Attendances for the Algarve teams are around 150, 200 at the most. Louletano mostly play in the town centre stadium, but are playing some games in the 28.000 seat Algarve Stadium. That easily accommodates their average crowd of 120. Olhanense play at the Estadio José Arcanjo in Olhão. This is near the centre of town, not far from the main N125 road and McDonald's. The tall floodlights can be seen from a long distance. There is little cover from the elements on one side, none at all on the other. There is a car park outside and street parking a few minutes walk away. They do have a small number of resident British fans who meet before the game in a bar opposite the main entrance. OFFICIAL WEBSITE (no longer working) and UNOFFICIAL WEBSITE both only in Portuguese. This is a semi-professional league, roughly the equivalent of a good English county FA league. Matches are normally played on Saturday afternoons, although some games are moved because of ground sharing. The First Division now consists of 11 teams and the programme is split into two phases. After a first round of matches ending on 23rd February, the top six play another round of matches between them to determine champions and promotion. The bottom five will play each other twice again to avoid relegation. Admission to matches is €2,50, attendances rarely exceed 100! Quarteira SC - play in Quarteira Municipal Stadium, shared with Quarteirense. Quarteirense - have been kicked out of the League! Apparently they were in debt to the local council on stadium rental and were locked out. No sympathy here! Algarve League games are normally played on SATURDAYS normally at 3pm (4pm In April, 5pm May) but as before fixtures can change, often at short notice. Best check locally if you can. Some kickoff times are changed because of ground sharing. The local FA website usually publishes changes to the fixture lists with confirmed kickoff times on the TUESDAY prior to the weekend concerned. The local press does not list kickoff times in their information. Fixtures (with kickoff times) can be seen at http://www.afalgarve.pt/index.php?Itemid=355 then click 'Jogos a realizar' for the date you need. Fixtures and current league table can also be seen here. Reminder that ko times for more than 2 or 3 weeks ahead are subject to change. Imortal (Albufeira) play in the Municipal Stadium just outside the town centre. Location Map here. For Imortal's results and fixtures click here. Most other grounds are pretty well in the centre of the town or village and are not hard to find. The Quarteira SC stadium is a bleak all-purpose municipal facility on the border between Vilamoura and Quarteira. It's only 6 or 7 minutes walk from the McDonalds in Vilamoura. The buses from and back to Albufeira call at a stop about 5 minutes walk away. Map here. Second Division started 29th September, ends 11th May. The Second Division this season now has fifteen teams, three having dropped out before the season even began and one more since. Results, fixtures and league table here. Because of ground sharing, many matches in this Division are played at 6pm /1800hrs on Saturdays. Most of these grounds have all weather synthetic grass. Culatrense - based in Faro, play at the Penha 'stadium'. GDR Quarteirense - play on the small synthetic pitch next to the municipal swimming pool building. Sport Faro e Benfica - based in Faro, play at the Penha 'stadium'. The Algarve Cup is the regional cup competition and most teams enter, including those in the national Leagues. Most matches are played midweek. Wednesday 27th March Ferreiras v Lagos ko 2030hrs and Wednesday 3rd April Almancil v Silves also 2030hrs. Many bars in the Algarve, especially those run by British people, have UK satellite dishes or internet streams. In the Algarve you will almost always be able to find somewhere showing the football. Some bars will also show Scottish games, but you may have to look rather harder! 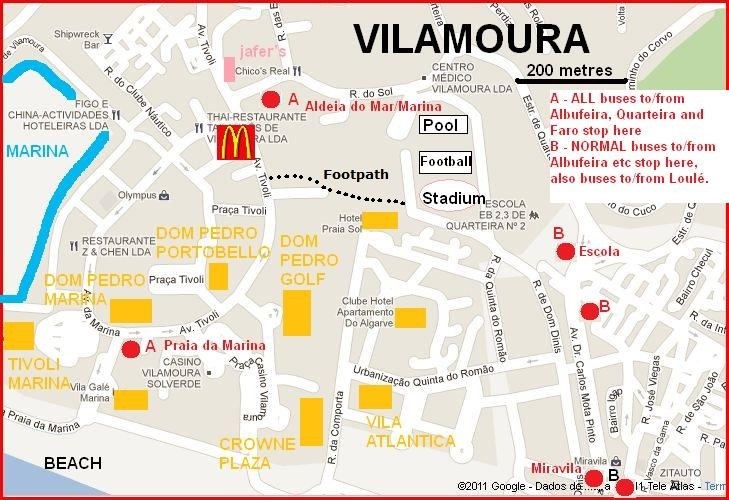 If you are coming to the Albufeira area and need to know a good bar in which to watch a game near where you are staying, go to www.albufeira.com/forum and ask there for a recommendation. With the demise of the satellite signal that allowed most UK channels to be easily received here, it is no longer simple for some bars to show matches screened on BT Sport, BBC, ITV etc. Most now have devised various internet based solutions of varying quality and quantity. Sky Sports channels are still available through satellite, but we understand they will soon also go. Portugal's Sport TV channels show English Premier League matches each weekend and during midweek, including the 3pm Saturday matches not available to UK viewers. English language commentary is not currently available. SportTV also show FA Cup and League Cup matches. Many bars in tourist areas (ie the Algarve) have access to various satellite channels, notably Bein Sport also US and Canadian channels, which show many English Premier League games with English commentary, also some have Eir Sports (Irish) channels. You can find bars showing three games at the same time on a Saturday or Sunday afternoon. Portugal's SportTV also shows live US Major League, Dutch, Italian, French, German and Spanish games fairly regularly. You may also get Brazilian games late at night. If you have a car while you are here, you might be able to get over to Huelva or Seville. Seville play in the Spanish First Division (La Liga) of course as do the other team in Seville, Real Betis. The local team just across the border in Huelva, called Recreativo, are in the third division. You can get fixtures from an English Language website at www.soccer-spain.com; which also has information about kickoff times and ticket sales generally. Beware that in Spain, many games are scheduled for TV purposes only a few days in advance of the weekend concerned. Tickets are therefore not normally available until a few days beforehand. Some games kick off as late as 10.15pm. Very little women's 11-a-side football in played in Portugal. The whole Algarve Region has just one active team, that of Guia FC. They play in the regionalised second tier of the national setup and are in the top three of their group. Last season they just missed out on the promotion playoffs, losing their final two games. Games are normally played on Sunday afternoons, however they do not necessarily play every week.